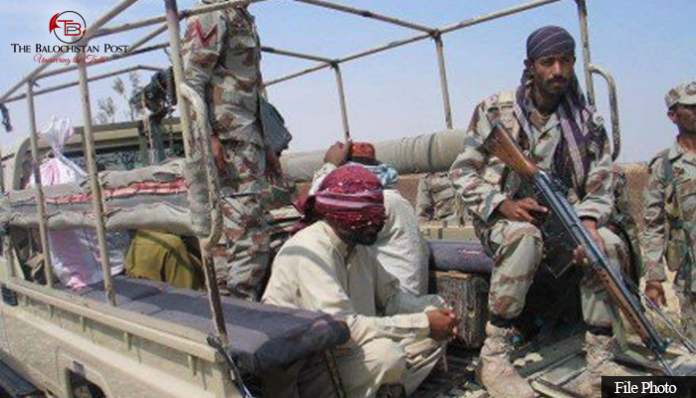 Two persons were abducted in raids by security forces from Gwadar city of Balochistan on Wednesday. According to details received by The Balochistan Post, Pakistan forces conducted raids in Faqeer colony area of Gwadar today. Three persons had been arrested during the raids, one of them was later released but two others have been moved to an undisclosed location, local sources told TPB. Abductees have been identified as, 16-year-old boy Fida s/o Khalid and Qadir Bakhash s/o Khair Mohammed. The term ‘abducted’ is widely used in Balochistan to connote arrests made by security forces as the arrested are not presented before court of law and instead kept in military camps. International campaign groups including Human Rights Watch and Amnesty International also accuse Pakistani security forces as the culprits of ‘illegal abductions in Balochistan’. Pakistani Military denies the allegations.